The 4M Project: Follow Me Back Tuesday-I'm a Guest Host! 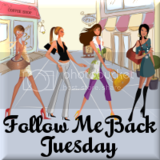 Follow Me Back Tuesday-I'm a Guest Host! It's everyone's favorite day of the week again, Tuesday.. Snag our button & make a F.M.B.T. post. 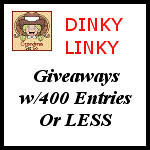 ( NO BLOG HOPs & GIVEAWAYS PLEASE ) These entries will be deleted. And most importantly - Have Fun and Come back and see us every Tuesday !! I'm a new follower! Your blog is so bright and cheery! I am a new follower. Please follow back. Thanks and have a blessed day! New follower. 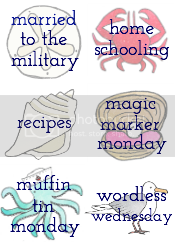 Blog is definitely bright and cheery just what I need this morning. Follow back if you get a chance! I'm stopping by and following from Follow Me Back Tuesday. I hope you'll check out my blog Frazzled Mama at http://frazzled-mama.com and follow me back. I found you through the awesome Tuesday blog hop! I'll be your newest follower! Hope you can swing by and return the favor! Have a great day! Cute Blog! I’m a new follower Happy Tuesday!! I would love for you to stop and take a look at my blog as well! Thanks! I'm your newest follower and looking forward to reading your blog. Please stop by my blog and see what you can find!!! I'm a new follower via FMBT! Please stop by to visit me when you can! Following from FMBT! Can't wait to read more from you! Have a fabulous Tuesday! Thanks for hosting! I follow. Thanks for hosting! I am a new follower from the hop. 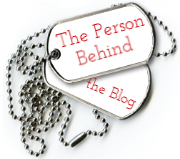 I am a blogger who blogs about a little of everything and I am joining "Follow Me Back Tuesday". I am now one of your followers. Hope you'll follow my blog. I'm following all of the hosts! I am a new follower, have a great week! Thanks for the follow. I’m following you back now! Congrats on being a guest host! Join Saving Dinner's Crock Cooker Contest!